This is a 41x46mm. 1970’S new old stock SPACEMAN vintage watch having its original unused band and fiberglass case all in unused condition and keeping time. The spaceman was designed by Mr.Le Marquand and first appeared in 1972-creating quite a stir in the watch world. 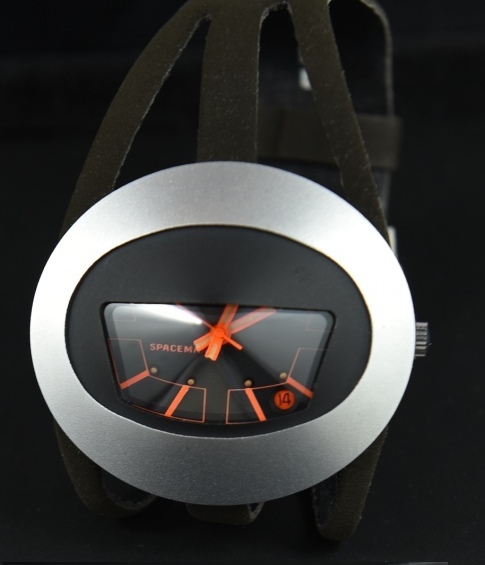 This neon orange highlighted black dial looks amazing!